The rush of new issues of preferred stocks and baby bonds that began in July continued through November as companies refinanced old borrowings at low rates while still possible. For literally years, rising interest rates have been expected. Yet, despite short-term rates moving up by over 1% and even the 10-year treasury up 80 basis points in the last year, coupons offered on income securities have remained extremely low. Preferred stock and baby bond issuers have chosen to refinance their higher-yielding preferreds at rock-bottom rates, while baby bond issuers have opted to refinance to lengthen some of their maturities, even if there is no yield advantage in doing so. In November 2017, there were 15 new issues in our universe of preferreds and baby bonds. Among those, six were baby bonds and nine were preferred stocks. Six of the preferreds were issued by real estate investment trusts (REITs), generally at coupons that are too low for the risk incurred. If (and who can say for sure) we get higher interest rates, lower coupon issues will bear the brunt of lower share prices. Our list of “new issues” can be found here. First, we will take a quick look at the baby bonds that were issued during November 2017.
Business development company (BDC) MVC Capital (NYSE:MVC) sold a 6.25% senior note with a maturity date of 11/30/2022. Proceeds from the issue will be used to refinance the currently outstanding 7.25% senior notes which had a maturity date in 2023. The good part of this new issue is the relatively short maturity date while the obvious downside is the stingy coupon of 6.25%. As a BDC, the company is required to maintain a 200% asset coverage ratio on senior securities, which are debt and preferred stock outstanding. This issue likely would be reasonable to own until we move toward a softening economy. BDCs make high-risk loans and financials may well become stressed with a soft economy. Star Bulk Carriers (NASDAQ:SBLK) sold an 8.30% coupon senior note with a maturity date in 2022. While the maturity date is short and the coupon is high, we almost always shy away from shipping company issues. Historically, these companies have shown an inability to manage their businesses, even during good economic times. Proceeds from this offering are being used to redeem the 8% baby bonds, which mature in 2019. This is one of the few cases where the issuer is required to pay a higher coupon on new issuance. This issue is trading at $25.05 almost a month after issuance, so obviously investors aren’t driving the price of this high-yield issue up, as they are reluctant to own ship issues. DTE Energy (NYSE:DTE) and Southern Company (NYSE:SO) each sold 5.25% baby bonds. As investment-grade utilities, they not only are able to issue at these meager coupons, but can attach a 2077 maturity date to them. While investors looking for pure safety and an interest income stream may want to consider these issues, the share prices will be pummeled if interest rates move higher. Lastly, two financial companies sold baby bonds. Ladenburg Thalmann (AMEX:LTS) sold a 6.50% issue, while JMP Group (NYSE:JMP) sold a 7.25% issue. Both of these companies are smaller firms. Plus, Ladenburg Thalmann has somewhat dicey financials and the 6.50% coupon on this new issue would appear to us to be inadequate to compensate for risk. The JMP Group issue would be more attractive to us on a risk/reward basis. The issues have maturity dates in 2027. Ladenburg will use the proceeds from the new issue for general corporate purposes, while JMP Group has called a currently outstanding 7.25% baby bond and may call some of the outstanding 8% baby bond issue. REITs issued six new preferred issues during November and they range from the stingy coupon of 5.20% from investment-grade PS Business Parks (NYSE:PSB) to the 9.375% coupon from junky biotech company Fortress Biotech (NASDAQ:FBIO). With our generally conservative style, we won’t even look at the Fortress Biotech issue and we have no real appetite for a 5.20% coupon as we know the high risk of capital loss in a rising rate environment to these low coupon issues. PSB will use the proceeds to redeem a 6% issue that is outstanding, while Fortress will use the proceeds for general corporate purposes. Lodging REITs Summit Hotel Properties (NYSE:INN) and Ashford Hospitality Trust (NYSE:AHT) sold new preferreds with coupons of 6.25% and 7.50%, respectively. A 6.25% coupon from a lodging REIT, which generally are highly economically sensitive businesses, is just plain criminal. But this is a sign of the times and it is hard to blame an issuer from selling at the lowest coupon possible. The INN issue is trading at $24.54 right now, so apparently investors agree with us that the coupon is stingy. We are more likely to have interest in the AHT issue, although the Ashford issues that have been outstanding for years have traded poorly because of the high level of leverage that Ashford carries. EPR Properties (NYSE:EPR), a REIT specializing in entertainment properties such as theaters, has sold a 5.75% issue. This coupon is too low for a REIT as we stare at a Fed Funds rate hike. The company is investment grade, but it joins the group of issues that will tumble if we get an unexpected rate hike, or a “taper tantrum” as the Fed rolls off assets on its balance sheet. Chicago area banker MB Financial (NASDAQ:MBFI) floated a new 6% preferred, which, unlike REIT preferreds, pays qualified dividends eligible for a lower tax rate for the recipient of dividends. MBFI will redeem an 8% preferred issue, which the company inherited through the acquisition of Taylor Capital Group in 2014. Mortgage REIT Two Harbors Investment (NYSE:TWO) came to market for the third time this year and each time it has sold fixed-to-floating rate preferreds. This time, the new issue carries a coupon of 7.25%. The two previous issues earlier in the year carried coupons of 8.125% and 7.625%, respectively. The new issue will carry the 7.25% rate until 2025, when it will become a floating rate preferred adjusted quarterly. It seems that TWO has garnered the lowest coupon that currently would be reasonable, as the issue is trading at $24.63 two weeks after issuance. Industrial REIT Rexford Industrial Realty (NYSE:REXR) has sold a preferred issue with a coupon of 5.875%. While we like the industrial REITs, the coupon is pretty low and we can’t buy low coupon perpetual preferreds with a possibility of higher interest rates just ahead. Lastly, NuStar Energy LP (NYSE:NS) has sold a high yield 9% fixed-to-floating rate preferred. While distributions are cumulative, they are non-qualified. NuStar is a decent-sized master limited partnership (MLP) that has hit a few financial bumps in the road lately after a large acquisition. It is very likely the company will do just fine in the months ahead but until it can prove to investors that its financials point in the right direction, the MLP will need to pay high coupons to entice investors. We know that readers get tired of reading about rising interest rates that never arrive, but it appears to us at this time that rates are firmer than a month or two ago as the Fed has begun running off the balance sheet assets. We do watch the weekly balance sheet trend from the Fed and the U.S. central bank has reduced its holdings of government debt and mortgage securities by about $20 billion in the last month. This means that there is a definite reduction in demand for refinancing from the Fed, which will trickle into the marketplace. At the current pace of run off, we can’t discern minor interest rate movements. Regardless, there is much less demand for debt and rates likely will move by at least a few basis points (hundredths of a percent). This situation warrants watching. Next month, the Fed will move the discount rate up by ¼% to a target rate of 1.50%. As low as this rate appears to be, there are very conservative investors who are more than happy to accept low interest rates on CDs and money market funds to keep their risk very low. This means that there may be billions of investment dollars that are no longer available for purchase of higher risk income securities. 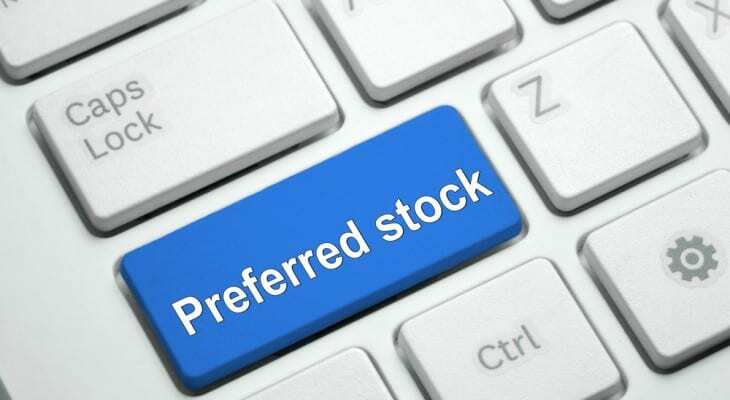 Don’t forget that we continue to keep many, many spreadsheets of all available preferred stocks and baby bonds. The directory of the spreadsheets can be found here.